7.5 Foot Extreme Duty Complete Snow Plow System. The SALTDOGG SHPE 2000 electric drive polymer HOPPER salt & sand spreaders is the ideal choice to keep parking lots and roads safe and clear of ice. The SALTDOGG SHPE 2000 is the perfect choice for medium & heavy-duty salt or sand applications. 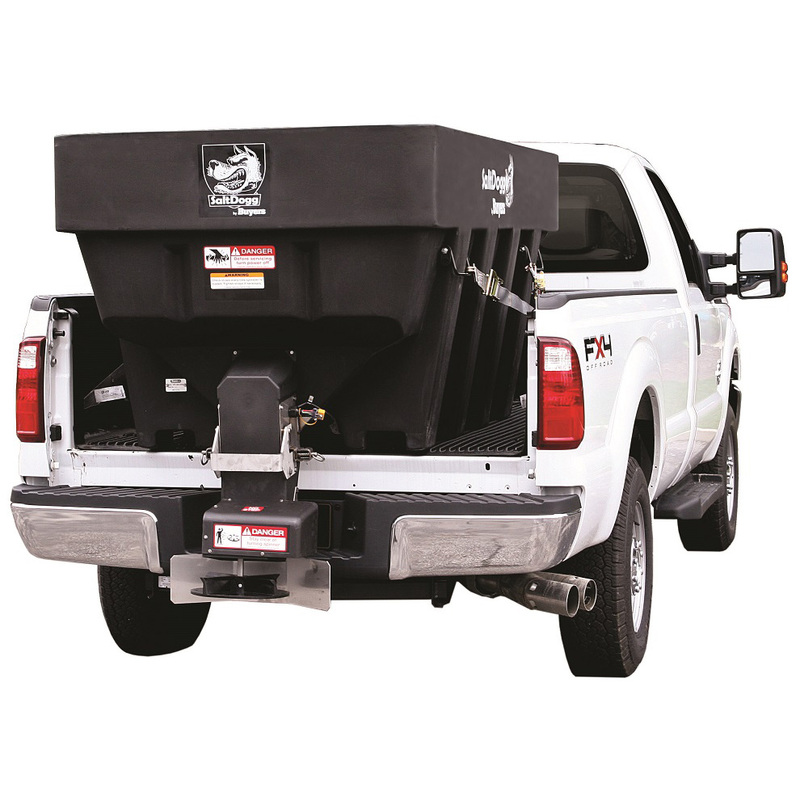 This salt spreader fits all 8 foot beds and most standard 6 foot beds as well. These units are completely self contained are are designed from day one for use with ice and snow control. Because of their rugged design, these can be used with either salt or a mixture of salt and sand. This spreader is powered by two ultra quiet 12 volt DC direct-drive motors that power both the auger and the spinner. They are enclosed in a heavy duty poly housing. The SHPE 2000 model comes with a standard chute as well as a 11.5 inch poly spinner. The Saltdogg SHPE 2000 is the salter of choice for medium to heavy duty applications.